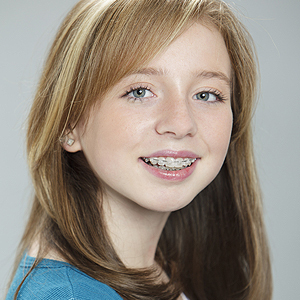 In many ways, the teenage years are the best time to have orthodontic treatment. It’s a good time emotionally because your teen is likely to have friends who also wear braces; orthodontic treatment becomes a rite of passage they can go through together. It’s also advantageous in a physical sense because all 20 baby teeth have come out, and most of the 32 adult teeth (except the 4 wisdom teeth) have emerged. At the same time, especially with younger teens, jaw growth is not yet complete — allowing orthodontists to harness the growing body’s natural adaptability. We can use a variety of appliances to do that — some of which weren’t around a generation ago! In many cases, traditional metal braces are still the best way to achieve the desired results. However, these are not the “train tracks” of old. Braces are smaller and lighter, with brackets that are cemented to the front surfaces of teeth rather than to bands that encircle the entire tooth (except in the very back). Braces can be made much less noticeable by using ceramic brackets that are clear or tooth-colored; however, ceramic brackets are easier to break than metal. An even stealthier way to undergo orthodontic treatment is with clear aligners. These removable clear plastic “trays” are custom made with the help of computer software that divides the treatment process into two-week stages. After each two-week period, the tray is changed and the next stage of movement takes place until the teeth are in correct alignment. The Invisalign system has two modifications especially for teens: “eruption tabs” that hold space open for emerging molars, and “compliance indicators” that can tell parents and orthodontists if the teen is keeping the trays in for the prescribed amount of time. We’d be happy to discuss whether clear aligners would be an option for your child. No matter which type of appliance is used, oral hygiene becomes even more important during orthodontic treatment. Wearing braces presents special challenges in terms of keeping teeth clean; however, it’s extremely important to do an effective job every day so that gums do not become inflamed and cavities do not develop. It’s far easier to clean teeth with clear aligners, which can be removed, but the aligners themselves can build up bacteria, leading to the same types of oral health issues if they are not cleaned each day. Another way in which orthodontic treatment will not vary regardless of the type of appliance chosen is the necessity of a retention phase. Everyone who has their teeth straightened (and this goes for adults and younger kids, too) must wear a retainer to hold the teeth in their new and improved alignment while new bone grows around them. Yes, braces are easier to wear than they used to be… but no one wants to wear them twice! The much anticipated day has arrived: your child's braces have been removed. You are really happy with the way your son's or daughter's smile looks now. All the time, money, and discomfort of having teeth straightened have been well worth it. But did you know that the teeth could relapse into their old positions if your child doesn't wear a retainer every night? 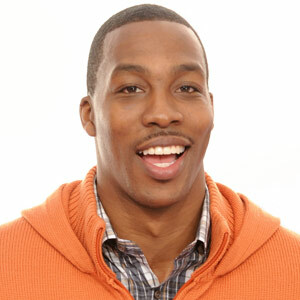 Why is wearing a retainer necessary? It is important for both you and your child to understand the reason for wearing a retainer. It has to do with how orthodontia works in causing teeth to move to more satisfactory positions. The reason that orthodontia (“ortho” – straight, “odont” – tooth) works is that the tissues holding teeth in place are living and keep remodeling themselves. Teeth are suspended in the jawbone by the periodontal ligament (“peri” – around, “odont” – tooth), which suspends the tooth by extending from the cementum of the tooth on one side into the bone on the other. Cementum is the thin layer of calcified tissue covering the dentin of the root. When light forces are placed on it, the periodontal ligament can reform itself and adapt to the pressures it is under. Orthodontists know how to keep the pressures during orthodontic treatment light enough to cause movement that is slow and steady but not so strong that the tissues are damaged. If too much force is applied, the process can cause damage to the periodontal tissues and tooth roots. When the teeth have moved to their desired positions, they will continue slowly moving. The purpose of a retainer is to stabilize the teeth in their “finished” position. They must be retained in this position long enough that the bone and ligament can completely re-form around them, a process that can take several months. Make it clear to your child that a retainer won't have to be worn forever. Once your child understands that it is very important to wear the retainer for a few months in order to stabilize that attractive new smile, it should be easy to convince him or her to use it nightly. Her parents Will and Jada are Hollywood royalty, who helped her land her first acting role when she was 7. She released a hit single, “Whip My Hair,” before she had quite reached the age of 10; shortly afterward, she was signed to a record label. Yet the young singer and actress Willow Smith has at least one thing in common with plenty of ‘tweens and teens across America: She needed to wear braces to correct problems with the alignment of her teeth. Why do braces seem to be a part of growing up for so many kids? One answer is because they work so well. Braces apply gentle pressure to the teeth through a thin, flexible wire called an archwire. Attached to the teeth with a metal or ceramic bracket, the archwire exerts a light force which causes teeth to gradually move into better positions. Sometimes, when additional force is needed, elastic bands or other appliances may be used in conjunction with braces. Most everyone is familiar with the silvery metal “tracks” of traditional braces. But did you know that there are a number of other options too? For a more inconspicuous look, you may be able to have braces with tooth-colored ceramic brackets; then, only the thin archwire will be visible in your mouth. It’s even possible in some cases to place the metal wires and brackets on the tongue side of the teeth. With this system, called lingual braces, the orthodontic hardware is truly invisible. What if you didn’t need metal braces at all? Some people can get good results using a system of clear plastic aligners instead of braces. The aligners are worn 23 hours a day, but can be taken off for cleaning and for important events. They work best for correcting mild or moderate alignment problems. Still, plenty of people feel that if they’re going to wear braces, they might as well flaunt them. That’s why some types of braces are available with bands that come in different colors. When Willow’s brother Jayden wore braces, he was reported to favor red and black ones. Jayden, who is about two years older than his sister, had his braces removed just before Willow got hers put on. So if it turns out that you need braces, remember that lots of your favorite celebrities wore them too. And keep in mind that, depending on your own situation, you may have several options to choose from.